Structural shapes come in many materials. However, carbon steel structural shapes are ideal for construction where high strength is required but low-luster is not an issue. It is available in a variety of shapes including angles, beams, channels and tees. Steel is commonly considered carbon steel when no minimum content is specified for any alloying element (for example, aluminum, chromium, nickel, molybdenum, etc.) or any other element added to obtain a desired alloy effect. The manganese does not exceed 1.65%, the specified minimum for copper in not below .40% or exceed .60% and silicon does not exceed .60%. For more information see our page on Carbon Steel. Channel refers to the shape which is essentially a squared off C. Types of channel include C Purlin which has a straight back, and sides have an inner-facing lip. Unistrut channel has holes or perforations to allow for bolting. Some channel has a slight ridge on the back for more rigidity. 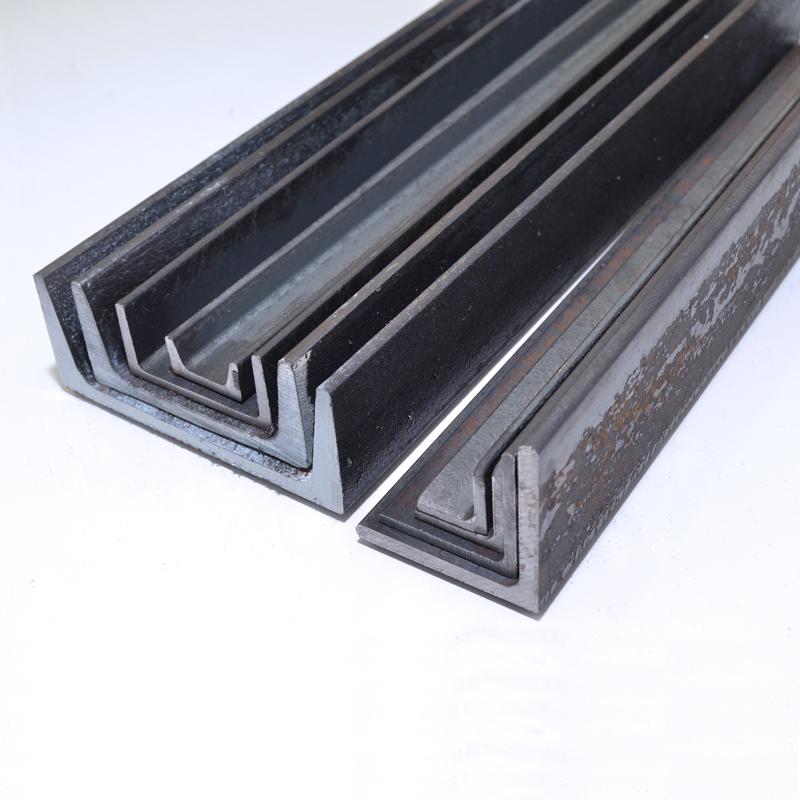 Steel channel is most often used in construction of buildings like garages, warehouses, pole barns, and metal buildings. Channel is primarily used as a stud, replacing wood in steel structures. The benefits of steel channel over wood are greater weight bearing capacity and improved rigidity without increasing weight. In addition Alro stocks 1045 beam, A-36 galvanized angle, A-36 P&O angle.